Greenbelt Explore is a new online tool which allows cyclists and hikers to customize routes and tours. There’s plenty to see in York Region — sometimes you just have to stop and take a look. Friends of the Greenbelt Foundation are making it easier to explore the Greenbelt as it ripples through York Region. Greenbelt Explore is a new online tool which allows cyclists and hikers — for the novice and experienced alike — to customize routes and tours. With a collection of different itineraries and tourist attractions, Greenbelt Explore encourages residents to get out of their cars and experience the best nature has to offer, from beaches and hiking to beer and local food experiences. “We want people to get out of their cars and make contact with nature,” said Susan Murray, communications and operations vice president with Friends of the Greenbelt Foundation. As a cyclist herself, Murray has been working on the online collection for the last several years. With thousands of points of interest and pins on a map, there is something for everyone — on-road routes and child- and family-friendly trials. And it’s all curated and mapped with a click of a button. 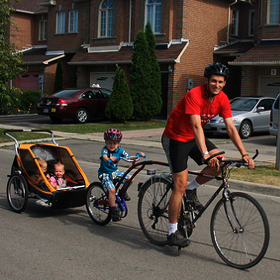 There’s no better way to experience this great place than on a bike, said Shawn Smith, active and sustainable transportation manager for York Region. There are more than 470 kilometres contained within in the Oak Ridges Moraine, and about 70 km of those are in York Region. There are several unique Greenbelt routes and tours in the region featuring quaint small-town charm, rich agricultural history, forest trails, and wildlife. The Tour de Holland comes highly recommended. Village Roundabout — a 59 km moderate to advanced cycling loop which travels through Schomberg, Kleinberg, and Kettleby, giving cyclists a scenic tour filled with quaint small-town charm. 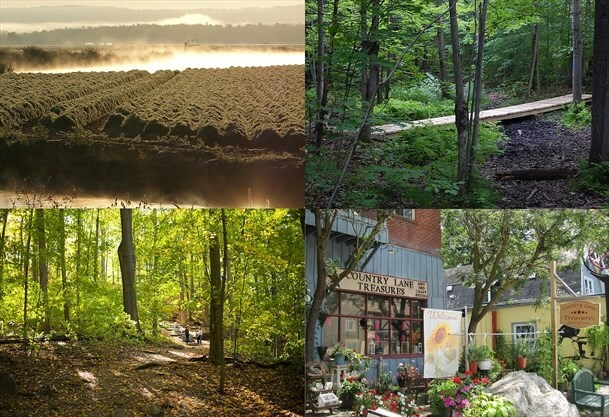 Tour de Holland loop — a 68 km advanced cycling loop which travels along the rolling rural hills of King Township through to the rich agricultural and farms lands of the Holland Marsh. Thornton Bales Greenbelt walk — a 1.2 km moderate hike featuring the infamous 99 Steps and showcasing a number of headwater types. Whitchurch Robinson tract — a 4.4 km easy hike showcasing low forest trails and plenty of signs of wildlife. Saints and Sinners — a multi-day 595 km trip that starts in Bradford and travels through Georgian Bay, home to a number of breweries, wineries, and cider houses. Did you think about using the best Bitcoin exchange service - YoBit.